Getting an endorsement from a celebrity can do wonders for a brand and the value of their trade mark. That’s no surprise. So when Meghan Markle (Prince Harry’s fiancée, for those of you who may have been living under a rock) wore a pair of Hiut jeans last week in Cardiff, the brand exposure for the Welsh denim brand was HUGE. A week on, her outfit choices are still being talked about. As I was driving back from a meeting today, Radio 4’s You and Yours programme had a feature on Hiut. You might be wondering why I’m writing about this. Surely this is a PR story, right? Well, yes. Mainly it is. But, it’s important from a trade mark and wider intellectual property perspective too. If your brand unexpectedly gets this level of press coverage, the exposure is obviously amazing. But with that exposure comes a wider audience of rival businesses who may want to also enjoy and benefit from your press coverage and heightened brand awareness. How can you protect yourself against that? All those examples can be prevented, deterred, and stopped with a good intellectual property protection policy in place. Registered trade marks, design rights and copyright all play their part. Registering your trade mark before you hit the global stage is a winning plan. All the brands mentioned have registered trade mark protection for their names, in case you were wondering. If you’re sending out sample products to influencers (they don’t need to be future Royalty), or you’re a fashion brand with contacts in celebrity stylists, you’re probably hoping for similar golden exposure. 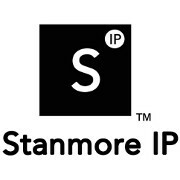 If you would like some help putting together your intellectual property protection policy and registering your trade mark, please do get in touch. Just as an fyi – the free 30-minute introductory call slots are fully booked until mid-March so don’t delay if you want to book one. This entry was posted in In the news and tagged brand, celebrity, endorsement, fashion, Intellectual Property, meghan markle, Trade mark, trade marks on 24th January 2018 by Stanners.